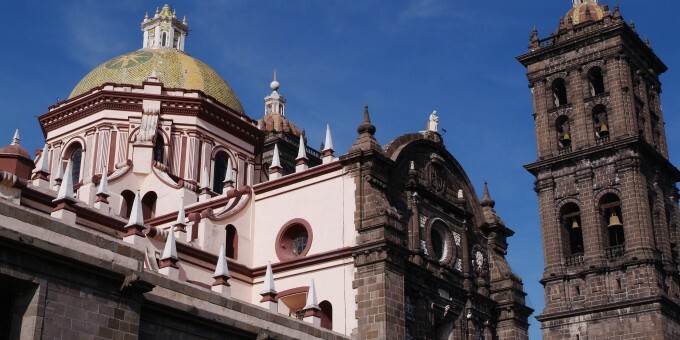 When I arrived in Puebla in August 2007 to study Spanish, I’d planned to stay for four months. Eight years later, I’m still here, happily, with no plans to leave anytime soon. I traded-in my tourist visa for a resident permit and even started consulting for the state. I suppose that makes me an expat, but I dislike the term, because it suggests that I’ve been banished or exiled from my native country, or given up my allegiance to it, surrendering my U.S. passport in some dramatic act of political defiance. I’ll admit there are moments when the latter seems awfully attractive, but in reality nothing could be further from the truth. I love the United States. I love Mexico. And, in an era of globalism in which we are increasingly interdependent, I cannot imagine ever choosing one side of the border over the other. So, I call myself a foreign resident and leave it at that. I decided to live in Puebla for many reasons, but mostly because the city is so authentically itself. There is no other place in Mexico quite like it: Its Colonial aesthetic, its urban attitude, its diverse cultural landscape, its natural beauty, and its amazing cuisine (hello, mole) are all so proudly and profoundly poblano that they set the city apart from everywhere else. Although Puebla is a major metropolis (Mexico’s fourth-largest, with some 1.5 million residents), it doesn’t feel like one. The capital city has the characteristics of a safe, suburban town: Shop owners tend to be friendly. Taxi drivers generally aren’t scary. Many restaurants close early on weeknights. The city’s main square, flanked by cobblestone streets and dotted with shade trees, is picturesque and filled with families on the weekends. An abundance of historic buildings, many of which were erected by Spanish settlers in the 16th and 17th centuries, give the entire urban core a surprisingly quaint feel, and quite a few have been preserved or restored to their original splendor. A stroll around downtown can take you back in time. 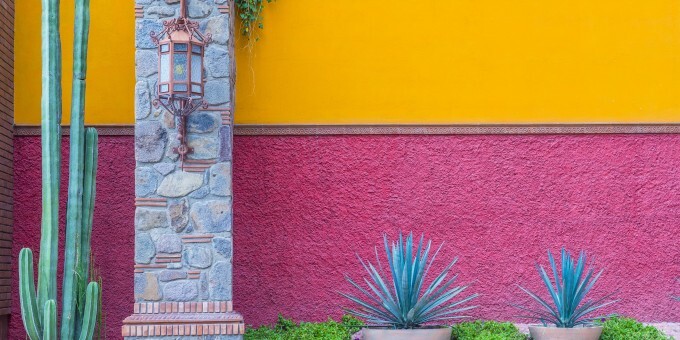 Although it’s nearly 500 years old, Puebla offers the kinds of modern amenities that foreign residents typically seek: A mild year-round climate. Affordable housing and medical care. Private schools and major universities. Airport access. Ample shopping opportunities, including big-box retailers. Puebla ranks among the 150 richest cities in the world and, unlike most areas of Mexico, has a sizable middle class. This means I can find everything from rock-bottom prices on local services (150 pesos per week for housecleaning) to completely out-of-my-league prices on imported luxury goods (5,000 pesos for a Coach purse). Although many locals understand English, relatively few speak it with confidence, making Puebla an ideal place to learn Spanish. Foreigners here have ample opportunity to practice newly acquired linguistic skills — and become better global citizens in the process. Even if your vocabulary, grammar, or pronunciation isn’t perfect, any attempts to habla español are appreciated. Last, but not least, there’s the food. Forget heaping plates of beans, rice, cheese, and whatever else you thought you knew about Mexican cuisine. Puebla’s restaurateurs serve up a impressive array of regional deliciousness, from classic staples like tinga (a chipotle-laced chicken stew) to exotic seasonal specialties like escamoles (ant eggs). The street fare is excellent, too, whether you bite into a taco árabe (shawarma-style pork on flatbread) or a real chalupa (fried corn tortilla topped with salsa, onions, and shredded meat). I often wonder why more foreigners haven’t discovered Puebla. They’re totally missing out. Rebecca Smith Hurd, founder of the travel blog AllAboutPuebla, works as a freelance writer and editor for U.S. clients, and as an adviser to the state of Puebla’s international affairs office.